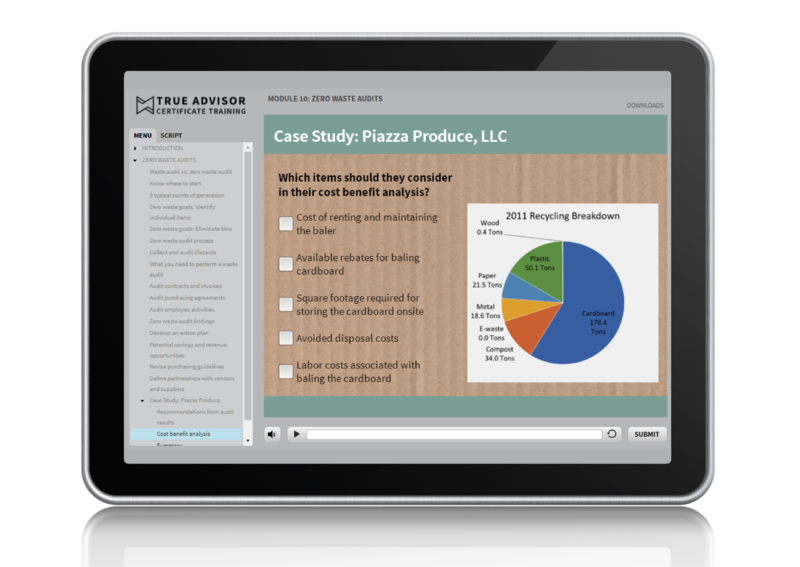 Partnering with the GBCI®, we developed both online and instructor-led training for the new TRUE Advisor certificate program. The program provides a comprehensive curriculum for the individual who wants to learn about zero waste policies and programs, and help projects participating in TRUE Zero Waste certification. 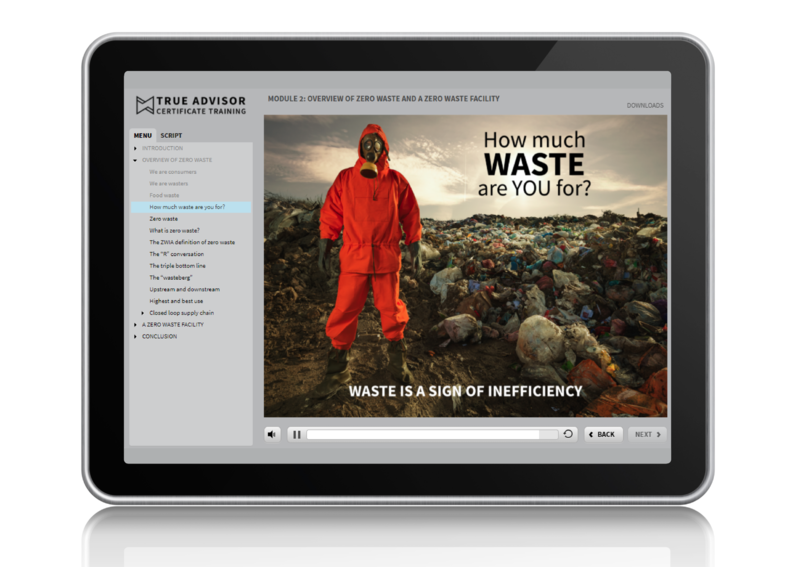 TRUE Advisor certificate holders have a practical understanding of the most current zero waste business principles, and they demonstrate a clear commitment to professional growth in advancing TRUE values. 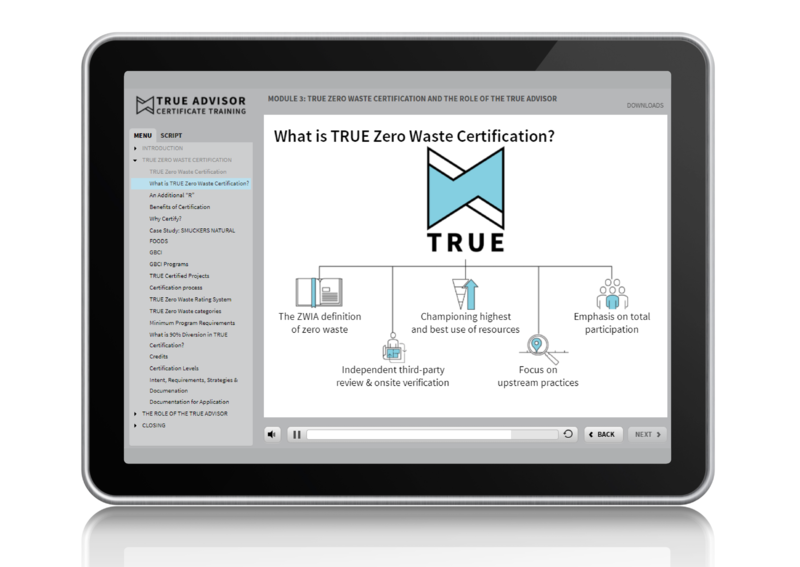 After successful completion, a TRUE Advisor will help prepare businesses for TRUE Zero Waste certification and assists organizations through the certification process. 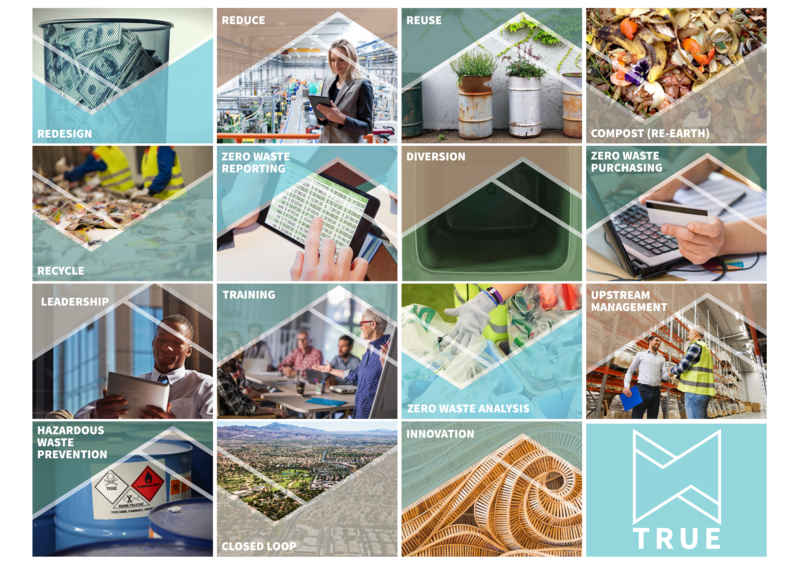 The TRUE Advisor certificate demonstrates that an individual possesses basic knowledge of zero waste terminology, tools, technologies, and implementation strategies to assist in the TRUE Zero Waste certification process in accordance with the TRUE Zero Waste Rating System. Below is a list of the TRUE Advisor course topics and corresponding learning outcomes. Describe the definition of zero waste. Identify key components of a zero waste economy. Cite the characteristics of a zero waste facility. Identify the general process and requirements needed for achieving zero waste. Describe the intent and requirements within each category. Describe key terminologies, tools and technologies related to each category. Describe the process of right-sizing. Describe how to put together a diversion tracking system. Explain how to calculate diversion and estimate weights. 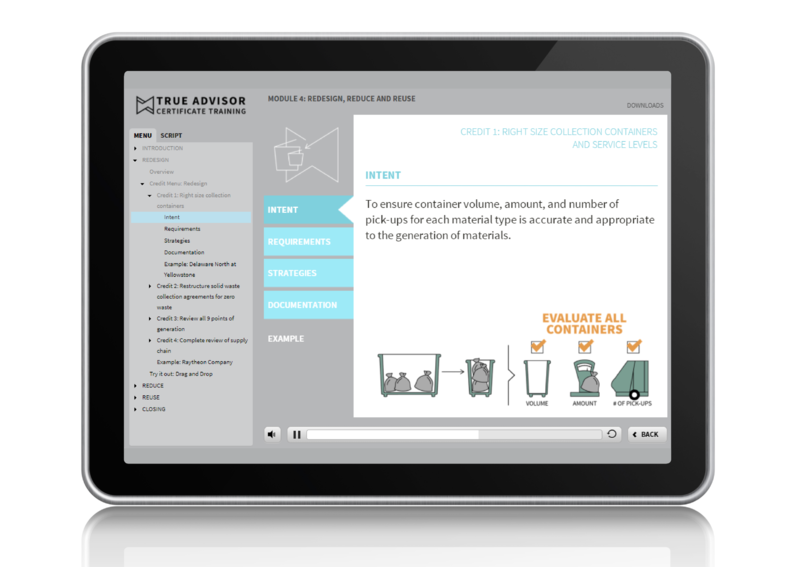 Describe the diversion and calculation requirements in the TRUE rating system. Describe the importance of the value and volume of generated materials. Describe the difference between a waste audit and a zero waste audit. Describe how to conduct a zero waste audit. The online course consists of 12 self-guided interactive modules that allow participants to enter and exit the program on their own schedule. It can be taken at the TRUE website (true.gbci.org/true-advisor). The full-day instructor-led version of the training is offered at various times throughout the years.